For 16 years, Little Italy has been a Italian staple in Gainesville. 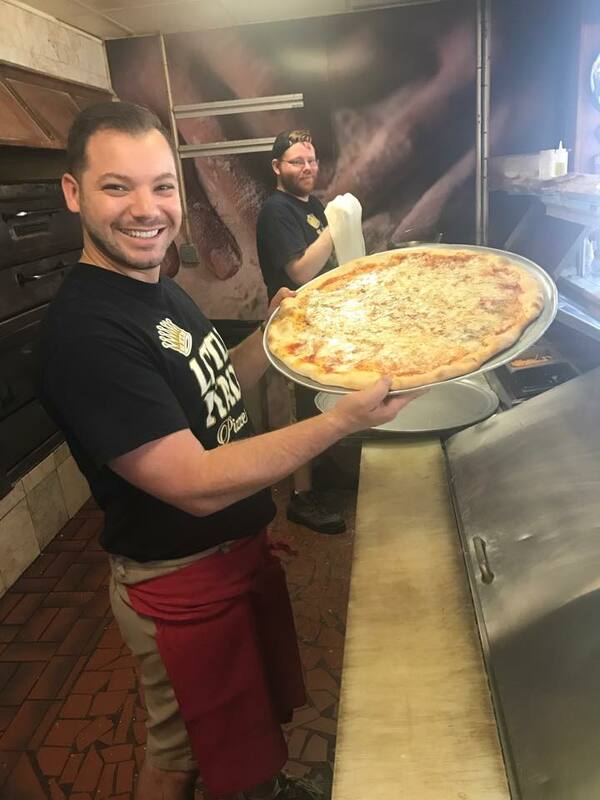 Since opening in 2002, Little Italy has been a go-to restaurant to meet friends on a Friday night before a football game, plan a casual lunch meeting and a local go-to for take-out and catering. But most of all it’s a place to relax, have some laughs, a good slice of pizza and an ice cold beer. On Friday Aug. 3, the restaurant will celebrate their 16th year in business with a fun night of specials and live music with local musician Luke Latimer from 7-10 p.m.
Cortese’s father Peppino open the first Little Italy in Athens and Ben brought the pizzeria to Gainesville in 2002. Over the years there have been other Little Italy locations in Georgia and Alabama, in addition to the Gainesville location. “Little Italy really is the best food for the price in Gainesville,” said Abernathy Cochran Realtor Regina Cochran. Rosemary Hancock said she loves to swing by Little Italy for a slice of pizza. “I get two slices with spinach and garlic, it’s delicious! My husband Blake loves their Sicilian with anchovies,” she said. Ben said heading into fall there are some new things happening at Little Italy. 990 Riverside Dr, Gainesville, GA 30501. 678-450-1515.